I was lucky to have interviewed Mrs. Marites Tandingan, mother of X Factor Philippines finalist KZ Tandingan, on Monday, September 10, 2012. 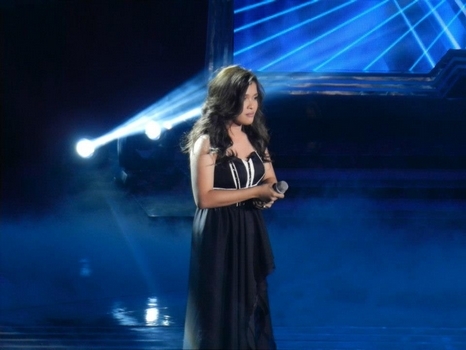 During the interview, Mrs. Tandingan revealed KZ’s profile, including her hobbies and favorite sports, food and color. Let’s get to know XFP’s most favorite contestant...up close and personal. Kristine Zhenie Lobrigas Tandingan, more popularly known as KZ Tandingan, was born at the Paramedics Clinic in Digos City, Davao del Sur on March 11, 1992. The 20-year old singer was raised by her parents, Engineer Tex Cansico Tandingan Jr. and Mrs. Marites Lobrigas Tandingan. KZ has two siblings. Her sister, Kathrine Sheree, 19, is a third-year college student taking up electrical engineering at the University of Southeastern Philippines (USEP), while her 6-year old brother, Tex Paul Matthew, is a grade-one pupil. KZ finished elementary at the Magsaysay Central Elementary School in 2004 and graduated in secondary at the Digos City National High School in 2008. She is a bachelor degree holder in biology which she obtained in USEP this year. Besides singing, her hobbies include dancing, reading pocket books, watching videos and movies, and playing musical instruments (except the violin), her mom said. KZ started singing as a child but had to stop when she was in her junior year in high school after suffering from a throat problem. Her favorite sports are lawn tennis and basketball and she has learned basic Taekwondo (it’s her sister who has a belt). She loves to eat pizza and hotdog and her favorite color is blue (take note admirers and would-be suitors). You can ask KZ to do something while on the road...except driving. KZ’s mom told me that the singer is afraid to drive any type of vehicle, particularly the motorcycle. KZ and the whole family are members of the Jesus Is Lord International Ministries. There you go. I hope that with these information, you’ll know KZ even more and will give her full support as competition in the X Factor Philippines gets tougher. 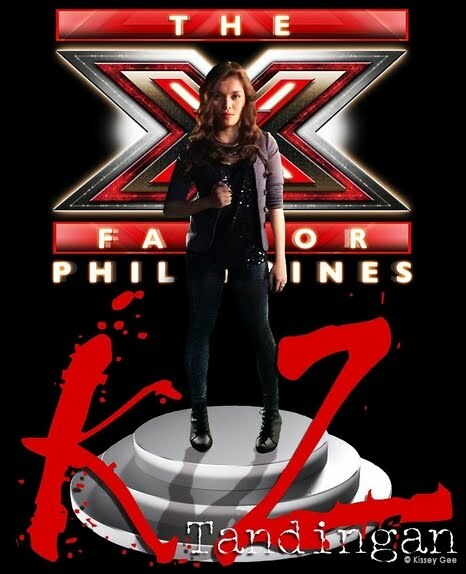 To vote for KZ whenever voting lines are open, just type XF KZ and send to 2331 for Globe, TM and Sun subscribers, or 231 for Smart and Talk ‘N Text subscribers.